This is an ink that I picked up a while back but never got around to reviewing. As of late, I heard that Organics Studio closed down because Tyler (the owner) moved on to grad school and could not keep the business running. Goulet and a bunch of other retailers jumped to buy up all the remaining stock, and I was determined to try out a sample before purchasing a bottle. The lubrication of the ink was very surprising. I previously noticed that the iridium of the pen was slowly wearing out, deteriorating my writing experience. 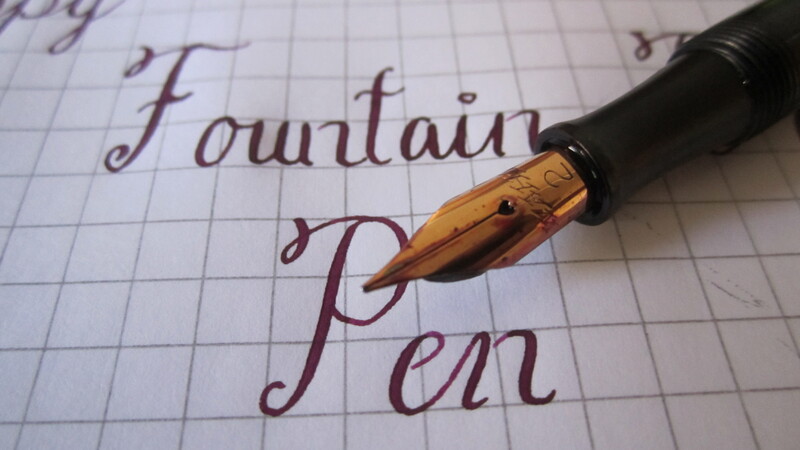 However, the ink perfectly compensated for it, and allowed the nib to glide across the page. which helped me write that much better. Sadly, all of the bottles were all sold out by the time I decided to grab one. Oh well, maybe we can look forward to Organics Studio opening back up after a couple of years and reselling this, maybe not. All I can say is, if the day comes when this ink is available again, I’ll be the first one in line. I would like to express my gratitude to all my readers and followers for encouraging me from the start to keep this blog going. I’m feeling a lot of stress now that it is transfer application time, and I’ve been bogged down with so much homework. Every time I get an email from Facebook or Twitter that says “_____ is following you” or “____ likes your page” it makes me happy that my efforts to put out good reviews are being appreciated by the pen community. One thing that I would like to mention is that I rarely ever see you guys commenting on posts, so I really don’t know whether I’m going about this correctly. I’ve always tried to engage my readers but it doesn’t seem to work. So I would appreciate it if you guys could leave your comments on this post in honor of this great day. I am very prompt with replies, and would love to hear what you guys have to say. P.S. I will edit this post with my ink review around 3:00 tomorrow. 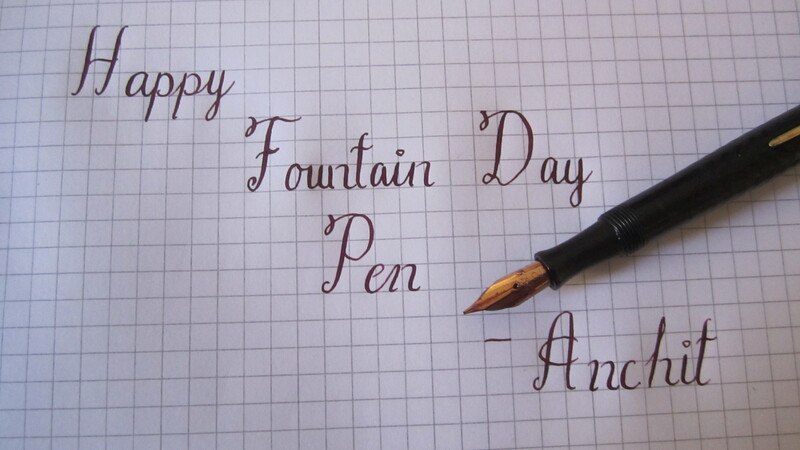 I have to leave for school now, but in the mean time, check out the Fountain Pen Day website for inspiration on how the international fountain pen community is celebrating today. Yama-Budo is a color I have been dying to try out, and I knew from the first post I published on my blog that it was the first ink review I wanted to do. 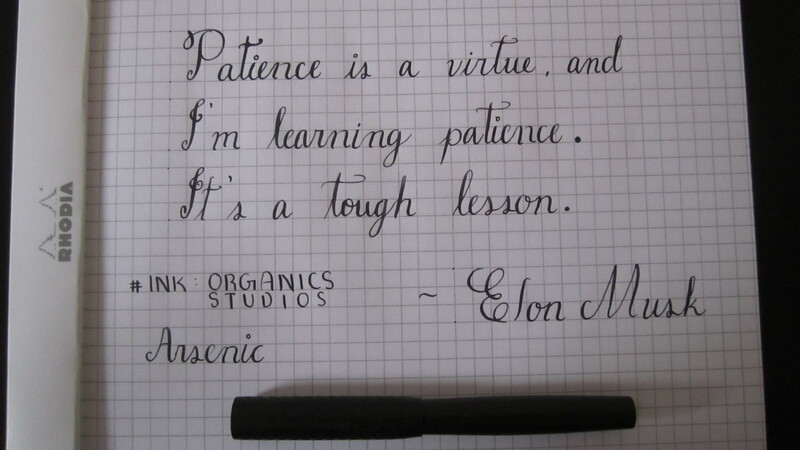 The script is basic Copperplate that I have been practicing. I have to say, when I first saw pictures of Yama-Budo in action, I wasn’t immediately wowed like I was with Kon-Peki. The color was “meh” (not too bad, not amazing either). The lighting made the ink look several shades lighter than it turned out for me. 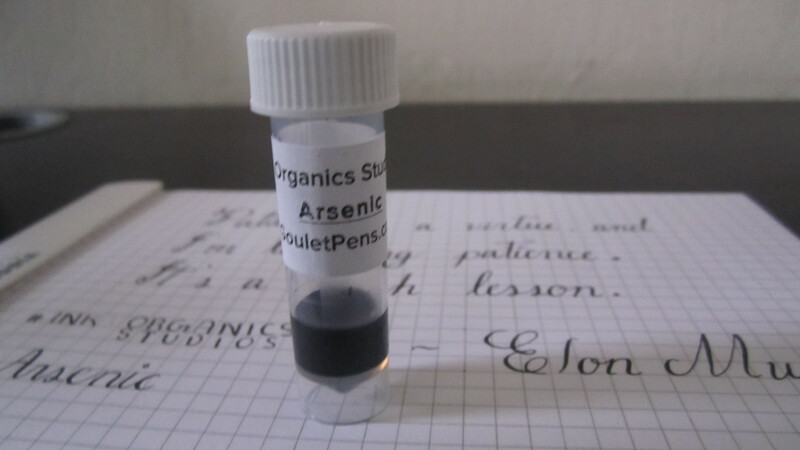 After scouring reviews from other pen blogs, I noticed that it is a characteristic shading property of this ink. The thinner the nib size, the brighter it looks. 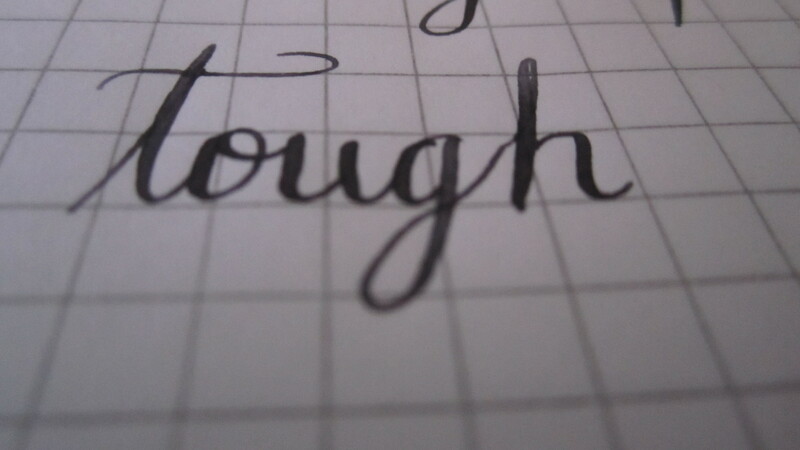 With my extra fine flex nib it was noticeably darker, a shade which suits my taste perfectly. This is not too bad though, as it opens up areas of experimentation with ornamental lettering. Several different shades ranging from magenta to wine colored purple makes Yama-Budo a very good ink for sketches or drawings. As the ink flowed out of the pen onto the paper, for some reason it seemed dry to me. So I cleaned the pen out, loaded it up with some Kon-Peki, and it was smooth as butter. For some reason, Yama-Budo seems a little less lubricated than I would like, as I require smooth strokes to properly write. The ink does make up for less lubrication with very good behavior on standard Rhodia paper, although there was quite a bit of ghosting, which had more to do with the pen I was using than the ink. 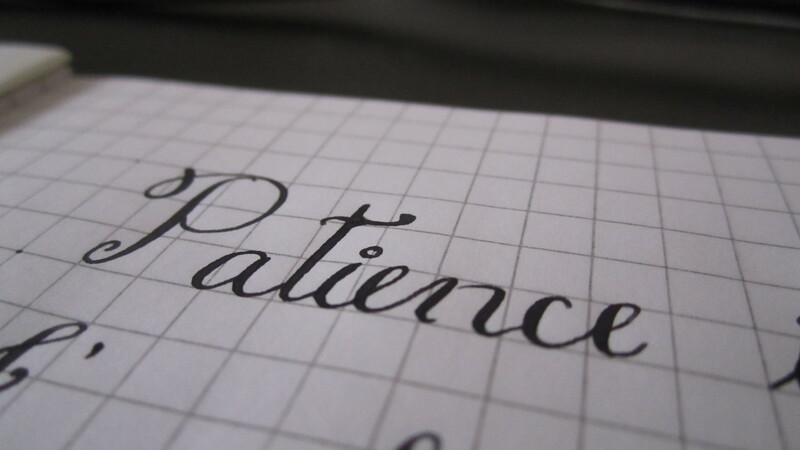 Nevertheless, something to look out for if wet noodle flex pens are your passion. Dry time was around 15 seconds, and there was a just a little smudging for me, again, more to do with the pen, but I’m surprised at how fast it dried considering how much ink I put down on the paper. 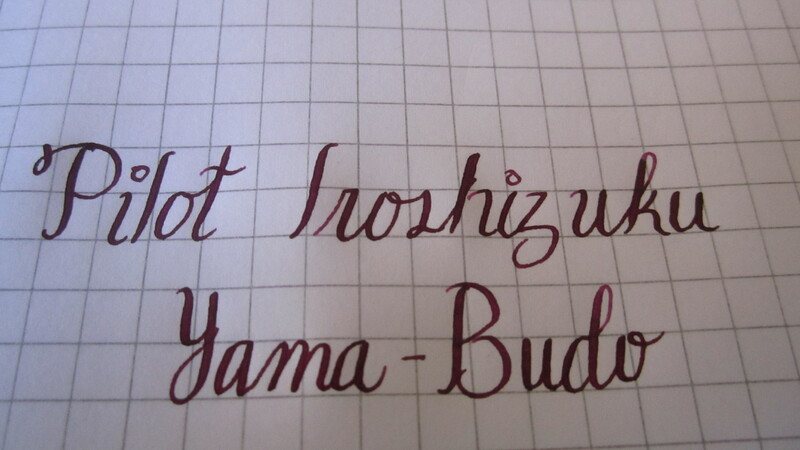 Overall, Yama-Budo is another classic Iroshizuku ink, well behaved, vibrant colors, nice shading, and decent dry time. This is one ink that I wouldn’t hesitate to splurge on if I have the money. Before doing so, I would suggest that all of you buy ink samples first to test it out in the pens you use, as ultimately it is your experience of the ink’s performance that counts. These specs were taken from the Retrakt’s product page on Karas Kustoms’ website. Right around the time I discovered Massdrop, I noticed that the Retrakt was one of the featured drops. I couldn’t resist the price I was getting it at, and convinced myself that I needed this in my collection. After an agonizing wait, it finally appeared in my mailbox. I ripped open that packaging like it was Christmas morning and lo and behold, there it was in all its shiny aluminum glory. Before purchasing the Retrakt I had been adamant that I get at least one Karas Kustoms pen, so I had ordered Pentel Energel black 0.5 mm refills from JetPens in advance, should I ever pull the trigger. They waited in my desk drawer until the glorious afternoon I opened my package up. When I first laid hands on it, I was surprised at how light it was. I have relatively big hands, so I wasn’t sure whether the pen would be too small, having only looked at other reviews and pictures. When I held it though, all doubts about the size vanished. It was very comfortable to hold, and the brushed aluminum finish helped give a decent amount of grip for someone with really dry hands (I have dropped all my pens at least once, no nib accidents have occurred as of yet). This is where things get a little tricky. I realized a little late that the Energel refills I had purchased had to be “hacked” (literally) to fit in the pen, as the standard sized refill is too long. I read a guide that simply said measure and cut the excess off. On my first attempt, I cut the refill way too long and conservatively snipped away at the tube till it was at my desired length. Problem was that when I had properly sized the tube, the knock(clicky mechanism) didn’t fully push the point through the hole properly, so I followed an online guide that told me to insert the black plastic piece in the back and size the refill to accommodate it. After that I was good to go. 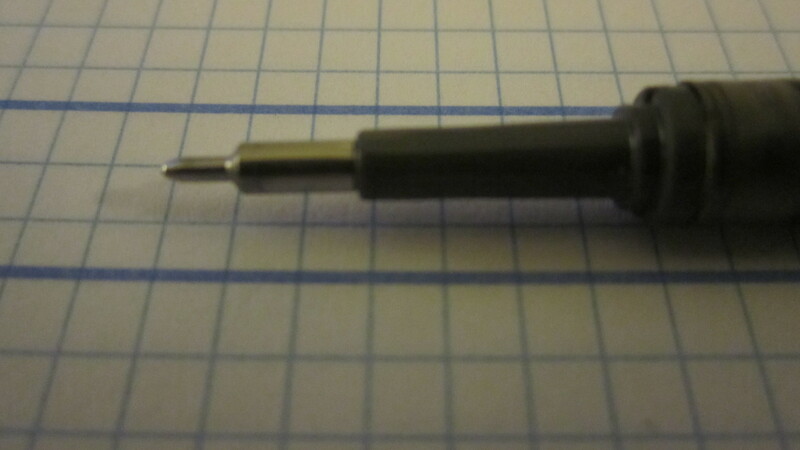 When I initially loaded up the pen, I had used the spring meant for the Pilot G2 style refills, because I thought that since the Energel refill was so large, it would fit properly. Notice the slight gap on the left? It really made a huge difference! However, I suffered a lot of frustration when the point of the pen had a visible gap when extended and did not fill the hole properly. This may sound like me being extremely picky, but there is a good reason for the complaint. When I was taking notes in class, the tip just started bending and hitting the gap causing a weird feeling that messed up my handwriting. After rereading the guide I linked above, I noticed that it said to use the thinner of the two springs. I immediately switched out the springs and the knock felt more responsive and the tip stopped wobbling around. This improved my experience by a lot, and I find myself using it with increasing frequency. 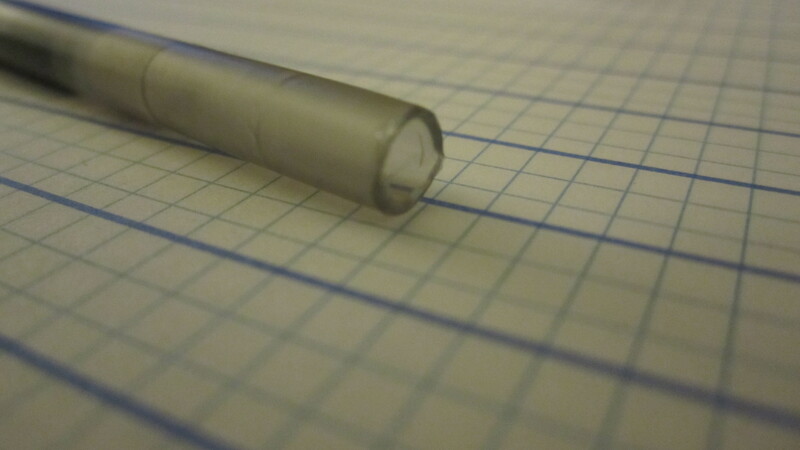 This pen is a very sturdy, well-built pen that can take a lot of punishment (dropped it twice on concrete, didn’t even scratch it). I highly recommend it for anyone who wants a simple, utilitarian pen that can accept a myriad of refills to suit your writing style, while feeling solid and balanced in the hand. I would like to thank Karas Kustoms for making such an elegant writing instrument, and I look forward to many more years of use. I wanted to let you know that I have started another Massdrop poll, this time for Edison fountain pens. If you’re interested in bagging one (or two, maybe three) quality fountain pens from a well established brand within the pen community, use the power of your vote to decide which one we should go for. Here’s the link: dro.ps/v/U6QwNZi (copy and paste link). I personally am going for either the Pearlette or the Beaumont. The others also look equally beautiful, but it was the lovely review done by The Gentleman Stationer that had me salivating for the Pearlette in Deep Indigo Flake. 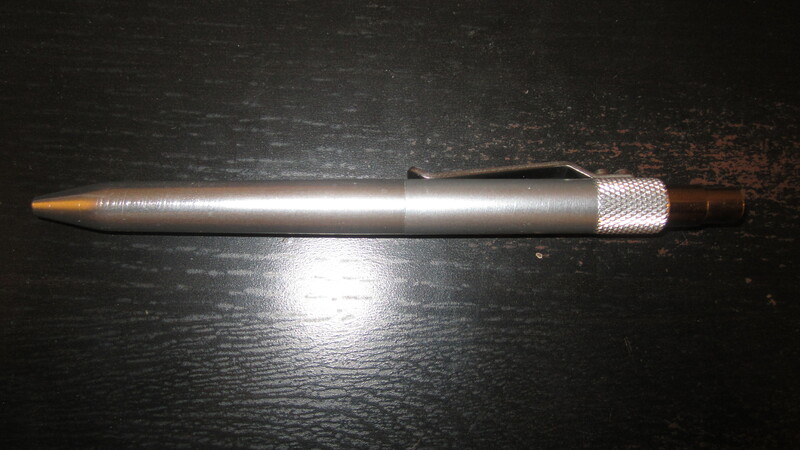 Here’s a link to the aforementioned review: Pen Review: Edison Pearlette. It’ll be my first Edison pen, and I can’t wait to see us achieve the 200 minimum votes necessary! Have a great rest of the day, and see you tomorrow! So sorry that I really haven’t kept up with the blog, school has taken first priority. I feel that I’ve slowly been getting too immersed in schoolwork and studying and need to give myself a break once in a while. How would I stay productive while on a break? Posting to the blog of course! So from now on expect at least one new post a week. On another note, I got my Massdrop package a while back and I haven’t opened it up yet. So I will be doing that today and posting a review about it on Thursday. 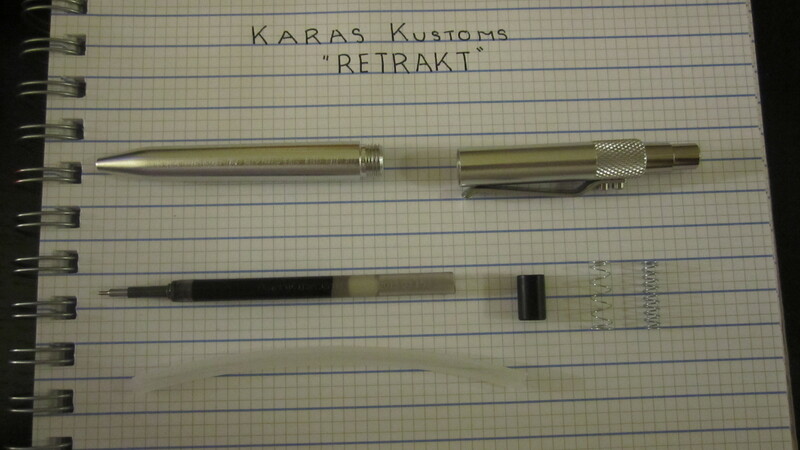 The pen I’ll be reviewing is the Karas Kustoms Retrakt. So look forward to my first review in a long time. In regards to ink reviews, I have been researching and trying to find a way to make my reviews unique, and the idea hit me while I was driving the other day. Instead of making a list and writing what I thinks about the ink’s performance, I can write a short quote that holds meaning to me. 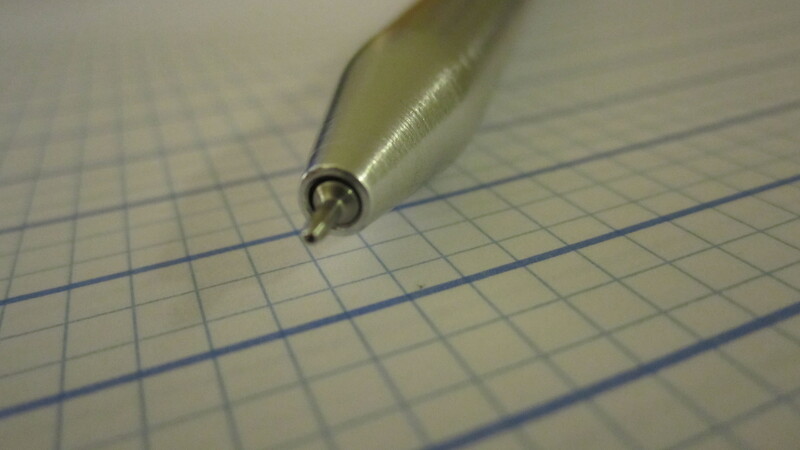 I would be using my modified Moore flex pen, as well as other pens I will be acquiring in the near future. Would you guys like that? Let me know in the comments below.